THE ADAMSON HOUSE, a beautiful house, on a pretty piece of property, sandwiched between Surfrider Beach and the Malibu Lagoon. View from the Adamson House balconies, facing south-west. It’s more than just a beautiful house, actually. It’s one of California’s finest crafted homes. Perhaps the most eye-seducing bit of the estate is the ceramic tile work that is woven, ever so meticulously and thoughtfully, through each room in the house and on the exterior. 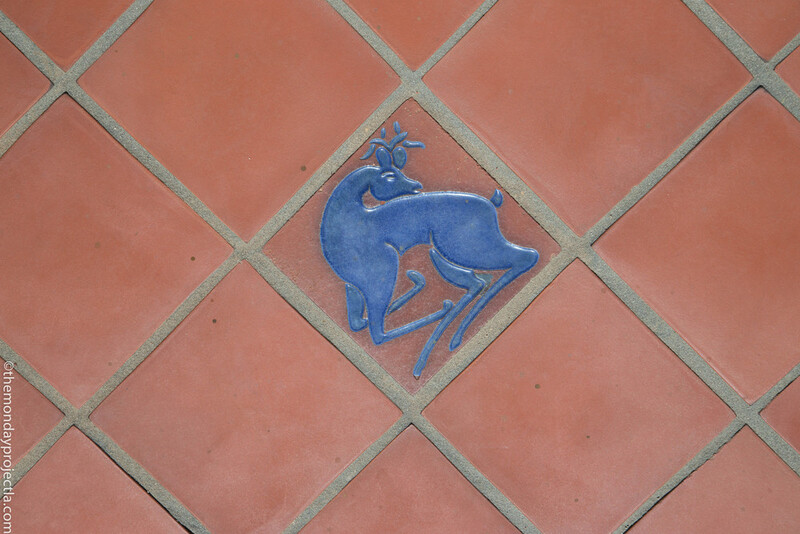 The tiles were created by the famous, though short-lived, Malibu Potteries, whose lead ceramicist is considered a genius in his field. 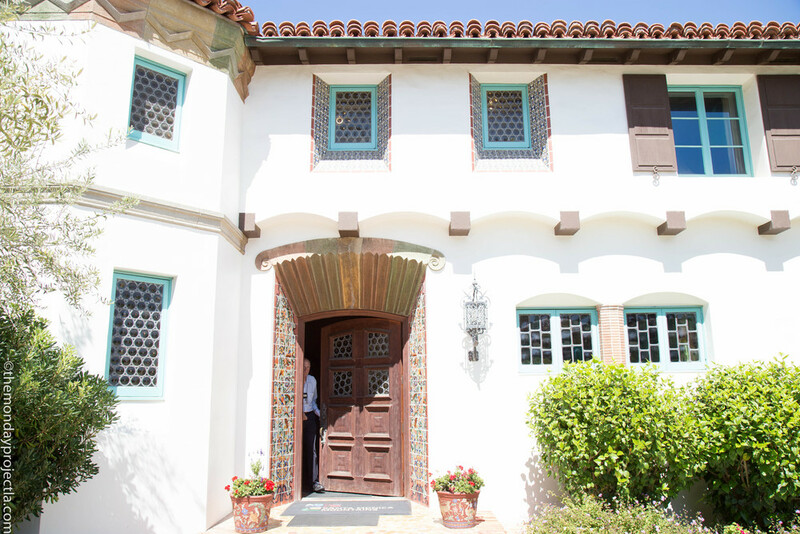 Our docent’s favorite room is the upstairs bathroom that belonged to the Adamson’s daughters, because it cocoons you in a wash of turquoise, and cobalt and burnt-orange tile. The House itself is open for tours on only Friday and Saturday. But the grounds the house sits on are open everyday from 8:00 am to Sunset. There’s a magnificent view of the beach from the garden in the backyard, where you can tuck yourself away from, but still totally watch, the swaths of surfers on the beach. Have a little stroll down the dirt driveway and sit on the observation deck of the Malibu Lagoon for some additional tranquility. 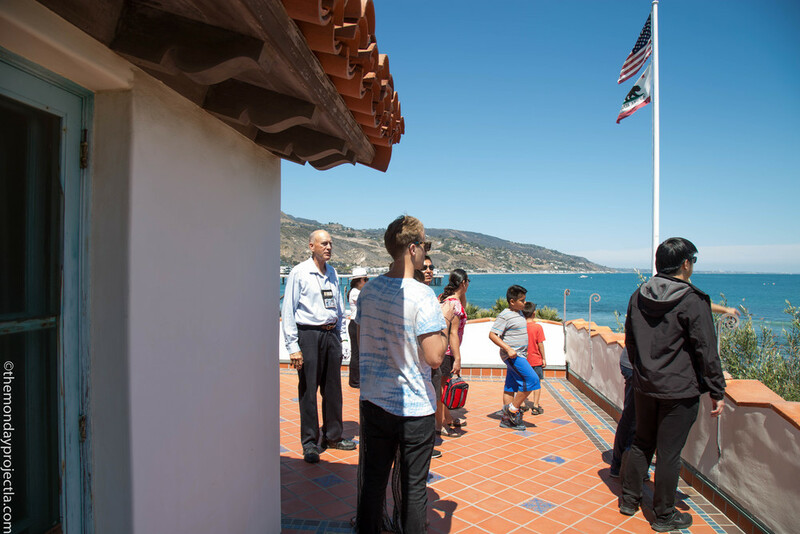 If you happen to be in the area on a Fri/Sat, take the hour-long docent led tour of the house’s interior. The docents are engaging, and enthusiastic and knowledgeable. The tour is good for all ages, and for architect nuts and non-nuts alike.